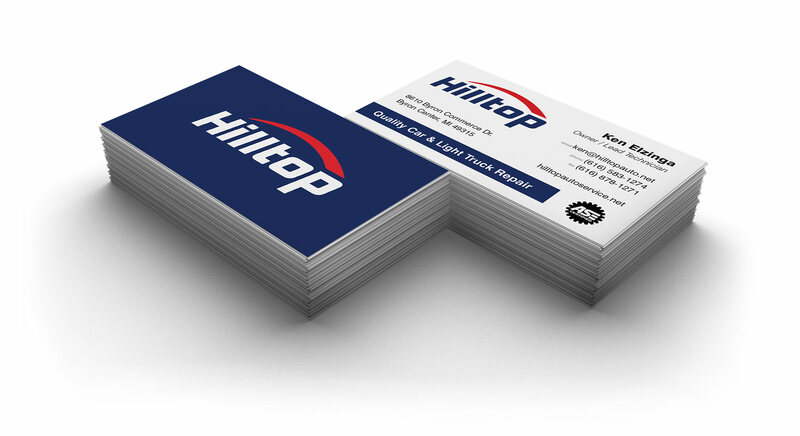 Hilltop Auto Service provides quality auto service to southwest Michigan. 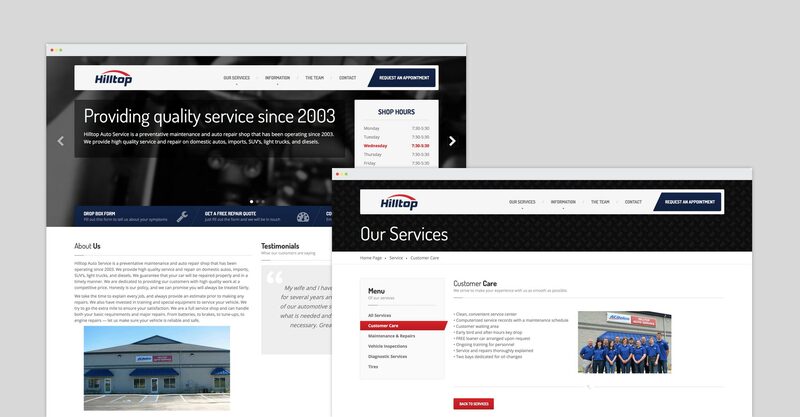 When they made the move from a backyard garage to a large new shop in an industrial area, they hired us to create a brand for the business that promoted professionalism and trust. 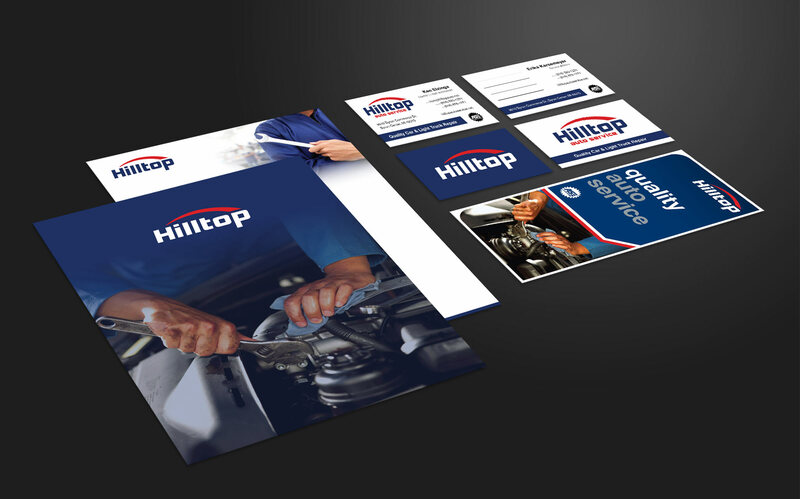 We designed a logo, business cards, brochures and signage for the new shop, as well as a website that provides customers with their hours, location, and an appointment form.